With the “The Night That Changed America: A GRAMMY Salute To The Beatles,” scheduled to broadcast on Sunday, Feb. 9, as well as talk of a potential Beatles reunion on Letterman, the iconic band is making headlines everywhere. Matching black suits, bowl cuts, British accents and shrieking girls choking on their own tears? 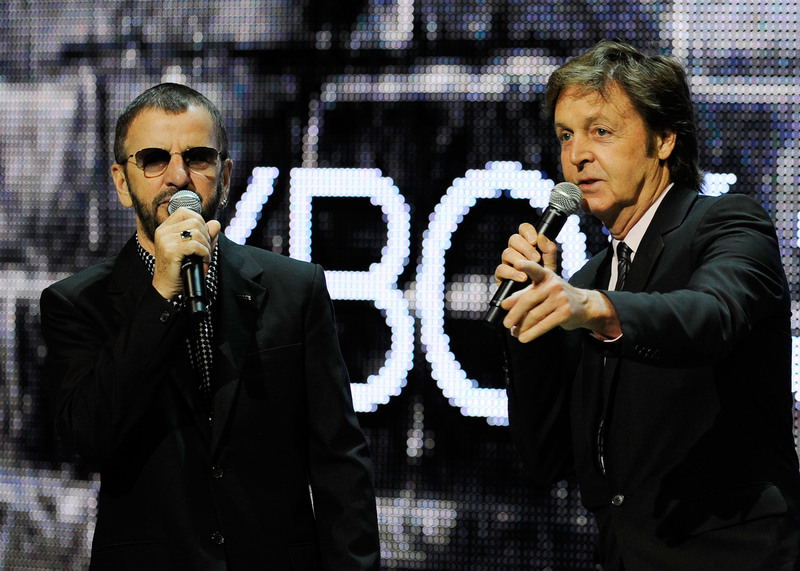 John Lennon, Paul McCartney, George Harrison and Ringo Starr were like a musical drug to men and women around the world. With an English father and a mother who has admitted to fangirling over McCartney when she was younger, I have heard the stories. I know, it seems silly now when we watch the black and white videos of The Beatles live on YouTube, but have you ever watched a One Direction or Justin Bieber concert video? Call me when you do. This is one of my absolute favorites and honestly, I somewhat enjoy the original. While I am ecstatic that Lennon and McCartney collaborated on this song, they probably should have left Starr to the drums. Written by Lennon and credited to McCartney, the original version of I Am The Walrus sounds a bit whiney. Frankly, Carrey’s cover adds much more dimension to the song. It’s no secret by now that some of The Beatles’ songs referenced drug use as one can probably tell from their lyrics. All I can think when I hear this song is “What the hell?” But I love it. Carrey’s personality brings out the quirkiness that should’ve been brought to this song in the first place. The original is smooth and I appreciate it, but it also drags a bit in comparison to Turner’s rendition. She brings a different vibe to the song and is commanding when she sings it. Talk about that female power. However, Aerosmith’s cover of Come Together takes a close second, and for those of you youngins who’d like a taste of something more modern, Max Milner’s mesh between Lose Yourself and Come Together isn’t too shabby. Sometimes the best covers come from the most unexpected people (e.g. not celebrities), and that’s why YouTube sensations are on the rise. Mitchell, a contender from Season 1 of The Glee Project, created this superb cover. We’re talking dreamy here. Covered for the movie Pleasantville, Apple’s interpretation of this song makes me want to sob every time. However, these artists are also pretty excellent: YouTube user, Austin, who goes by ACMusic7, Rufus Wainwright, and Jim Sturgess (Across The Universe). Green’s version of this popular Beatles song is upbeat and full of soul. For some reason, something about four men singing this song versus one doesn’t sound quite as good. Paste Magazine listed this cover at number one of the top 50 best Beatles covers of all time. However, if you’re still looking for another version of this song, T.V. Carpio’s cover in Across the Universe sent chills down my spine. The song is beautifully sung and emotional.